First ensure http://domain.tld/webmail is being routed on your webmail page. If not then contact your Web Hosting manager to make necessary configuration of WHM on their side. Now only the task is to redirect a Subdomain called http://webmail.domain.tld to http://domain.tld/webmail at cPanel. Go to Domains >> Subdomains menu. Supply the name of the sub domain as “webmail” and Click Add button. A folder with the same name as the sub domain has now been added to your public_html folder. Go to Domains >> Advance Zone Editor and check for any “A” Record of “webmail.domain.tld” already exists. If so delete the record and repeat the step . To set up redirection for this sub domain click on Manage redirection option under actions (at same Subdomains page) and give the redirection URL: http://domain.tld/webmail then click on save. 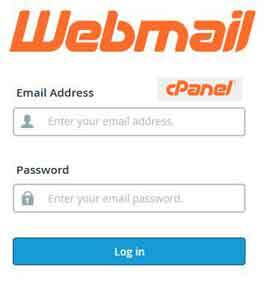 Now you will be able to access the your webmail login page using “webmail.domain.tld”. Note: If redirections not working then wait for a while or clear the browser catch or change the browser and check.